Ring in the New Year with a high-powered show featuring two of today's most exciting live acts! Dinner & show (includes bottle of champagne) $125, show only $50 -- details below. 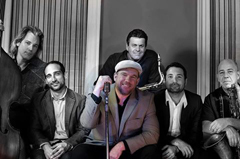 While Chris O'Leary's music is rooted in the blues, you can hear shades of New Orleans, rockabilly and more in the band's big, high-energy sound. Several years ago, Levon Helm joined in on some of Chris's early recording sessions, and then sat in on O'Leary's regular gigs. Soon, Levon asked Chris and his compadres to join the house band at his club in New Orleans. Chris spent the better part of a year at the club as a focal point of Levon Helm's Barn Burners, backing up touring stars and opening for New Orleans' finest players. In 2007 O'Leary formed a new band, including fellow Barn Burner Frankie Ingrao on bass and guitarist Chris Vitarello. 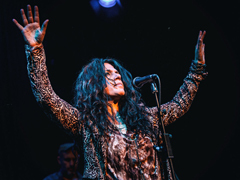 Sari Schorr and her band deliver fiery blues-rock with a warm burnished sound that is pitched partly between late '60s British blues and rootsy soul. Her high-intensity shows knocks out an emotionally charged interpretation of her music which fuses concrete melodies with poetic lyrics to striking effect. Sari balances her vocals between power and vulnerability and offers a glimpse of her jazz-blues influence from singers like Bessie Smith and Billie Holiday. Our executive chef and our renowned pastry chef are planning a memorable New Year's Eve prix fixe feast, including a variety of appetizers and entrees, capped off by dessert — sumptuous chocolate truffles, petit fours and fresh fruit. Also included for dinner guests: a complimentary bottle of champagne per couple. For those purchasing "show only" tickets, a champagne toast at midnight will be included in the price, and a separate cafe menu will be available. DINNER & SHOW — Includes show, full-course dinner with dessert and a bottle of champagne per couple: $125 per person; Members: $110. Prices DO NOT include tax & gratuity. 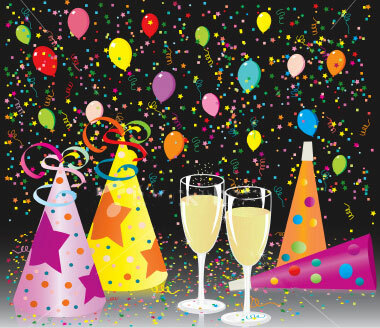 SHOW-ONLY — includes show and a midnight champagne toast: $50 per person; Members $42.50.